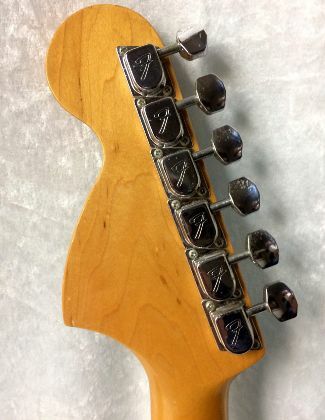 There are 3 models of ST67 the ST67-85 which appeared in 1989 to be replaced in 1990 by the ST67-770 again only lasted a year then reappeared as the ST67-95 in 1995 again only for about a year. 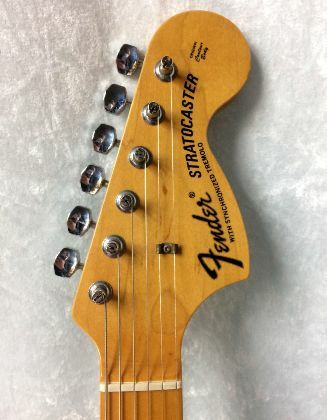 The models all have identical specs except that the 770 has a lacquer finish. 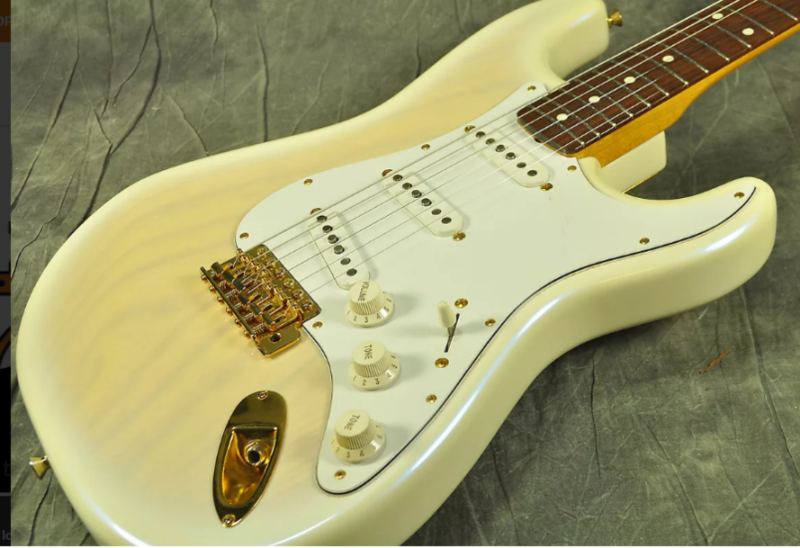 I have had an email from Tom who lives in Texas and has bought an ST67-95, his however is natural rather than vintage white. 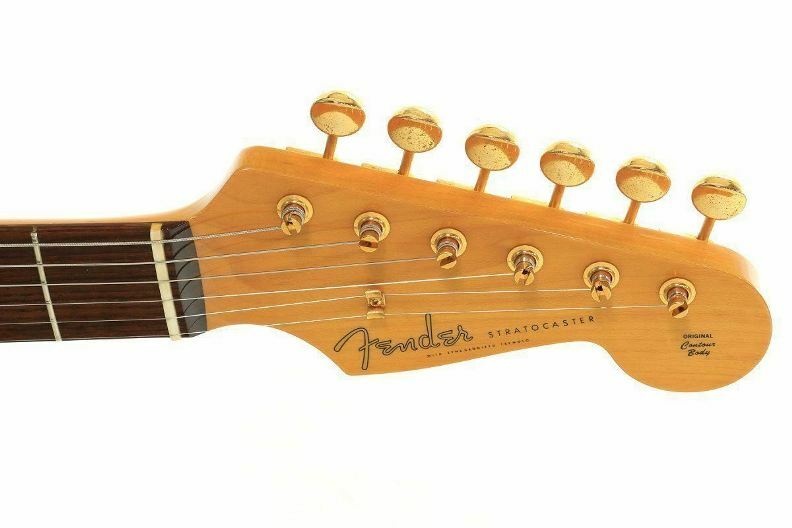 The guitar looks 100% genuine and I am sure it is. 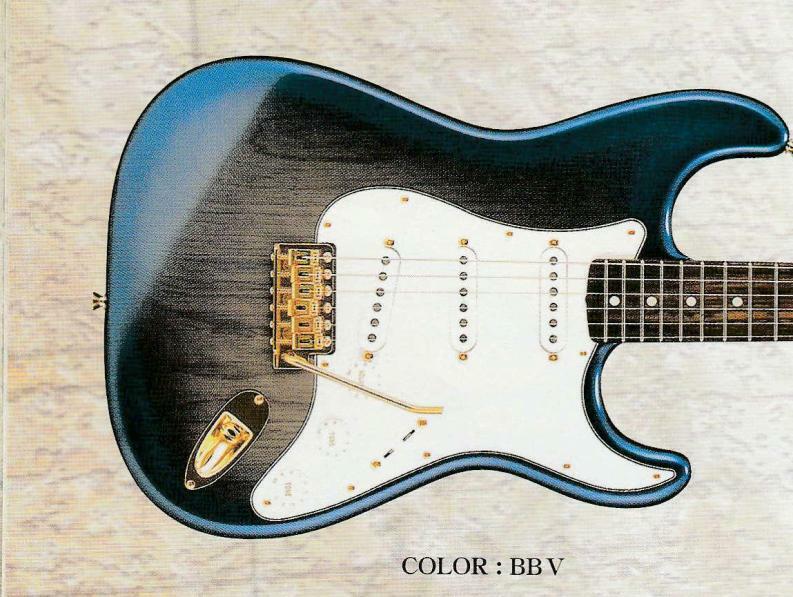 Showing once again that no information on MIJ guitars can ever be thought of as 100% complete. Thanks for the email and pictures Tom. 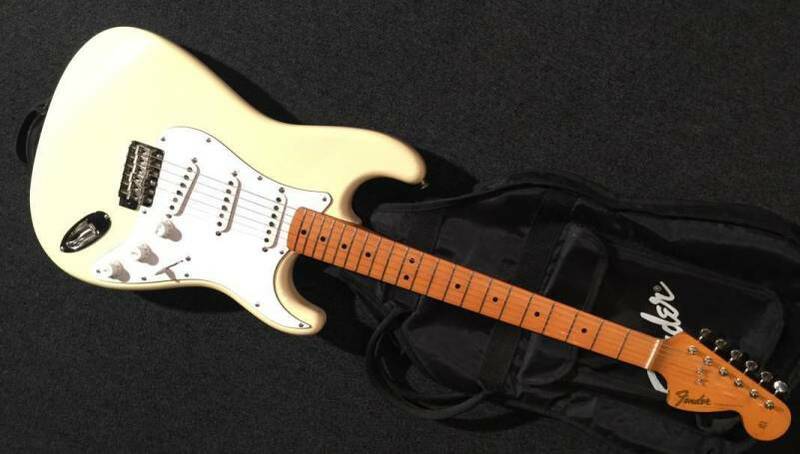 Tom's Guitar from the sale advert. 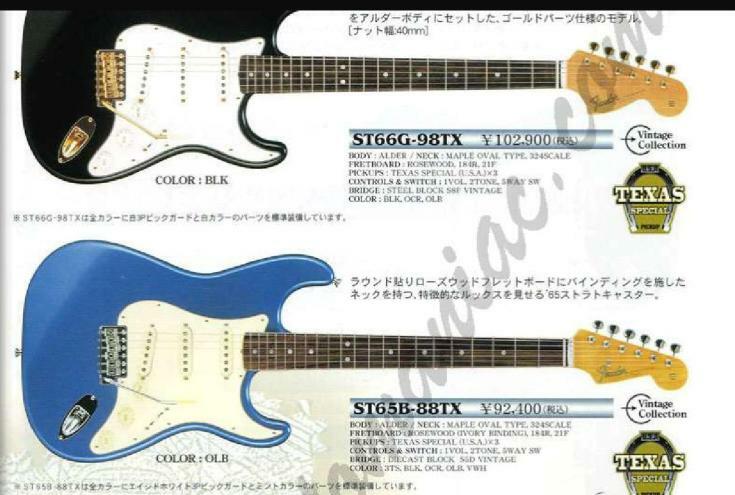 Identical models in all ways except the ST68 had additional colours. Originally released in 1996 as the 85TX became the 92TX around 2006 and the ST68TX in 2008 continued until at least 2013. They are part of the craft premium range. These two models appeared in the 2005/6 catalogue and lasted a little over a year. The G is for gold and the B is for binding. They are very rarely seen in the west. The 80 refers to the list price of 80,000 yen. 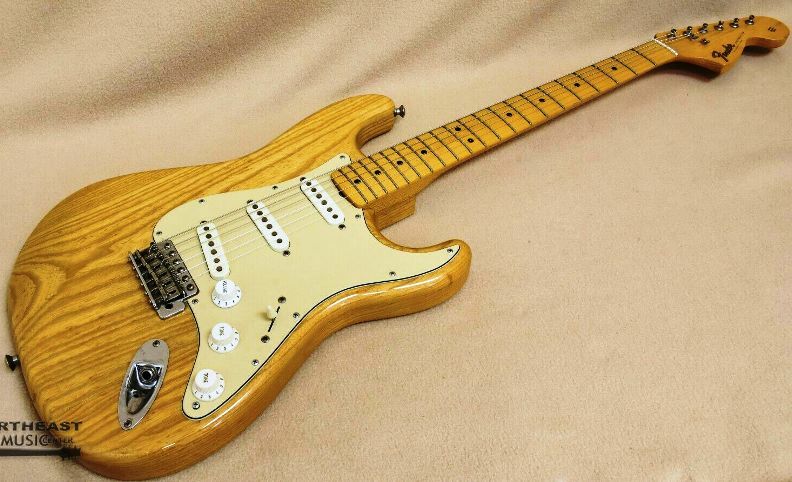 This guitar is a 60s style strat not 80s. They were released in 2002 and lasted 3 or 4 years, they are recognisable by the gold hardware and very unusual colours.